A unique, high-quality specimen table fitted with Rockingham porcelain plaques is on offer at the next Galloway Fair, which runs from November 23-25 at Wentworth Woodhouse in South Yorkshire. 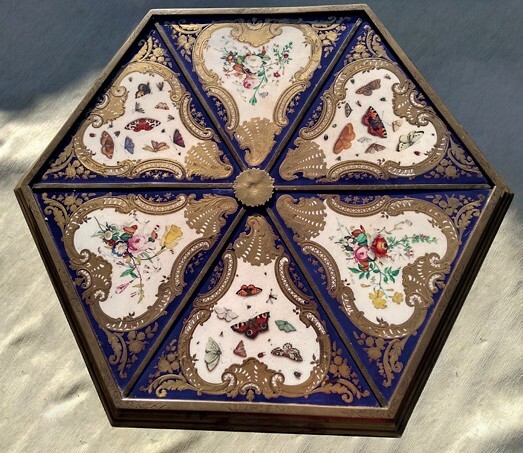 The table features six radiating plaques with panels of butterflies and flying insects alternating with those of fine flower bouquets. These are presented in cartouches of profuse gilding and a Royal Blue ground. Now offered by Bryan Bowden Antiques from Harrogate, it was identified with its factory in 2003 when it was the subject of Raman spectroscopic analysis and found to be consistent with a marked piece of Rockingham pottery (an article on the study was published in The Journal of Raman Spectroscopy in 2004). It is believed to have been commissioned and constructed c.1838 at the Rockingham works. 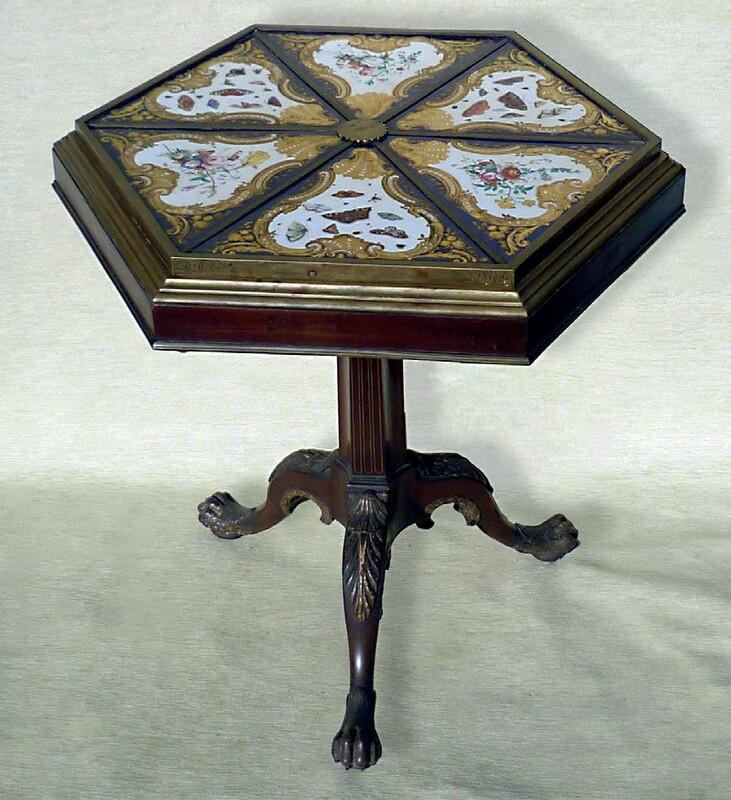 When first offered on the open market in 1979, the table was catalogued as having been part of the Rockingham Castle collection until 1948 or ‘49 before passing to a private collector. Another private owner bought it at the auction and it was then purchased by the dealership. All the documentation surrounding the table will be exhibited at the fair, where it is available for a price in the region of £40,000. It also has a link to the event’s venue as Wentworth Woodhouse was built from c.1735 as a home for the 1st Marquess of Rockingham (the factory was later under the patronage of the family’s descendants). The fair hosts 35 dealers offering fine art, furniture, glass and jewellery as well as porcelain and pottery. Not all items at the Wentworth Woodhouse fair stretch into the five figures. 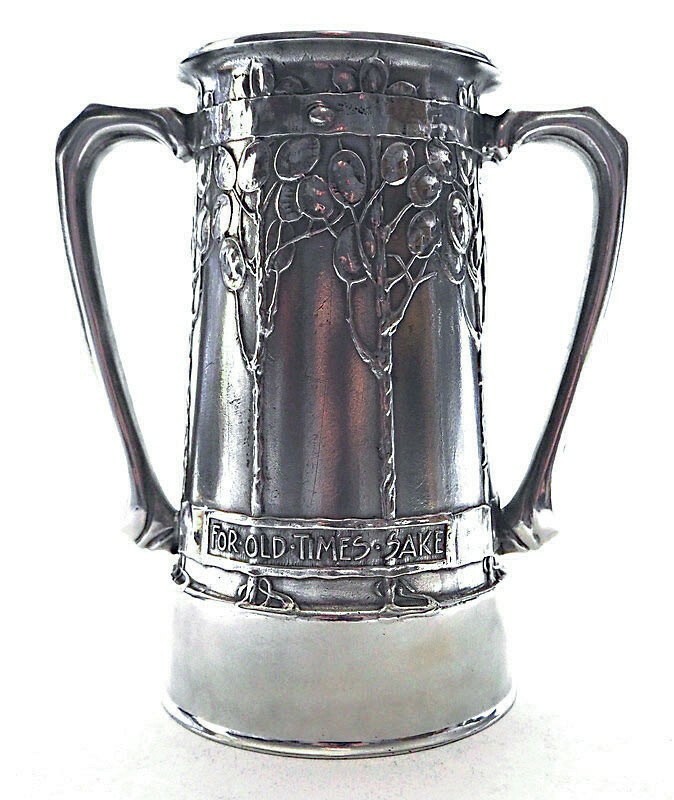 Studiotic brings this metalware loving cup made by David Beasey for Liberty c.1902, which it offers for £595.